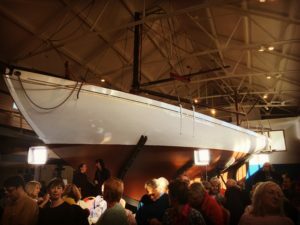 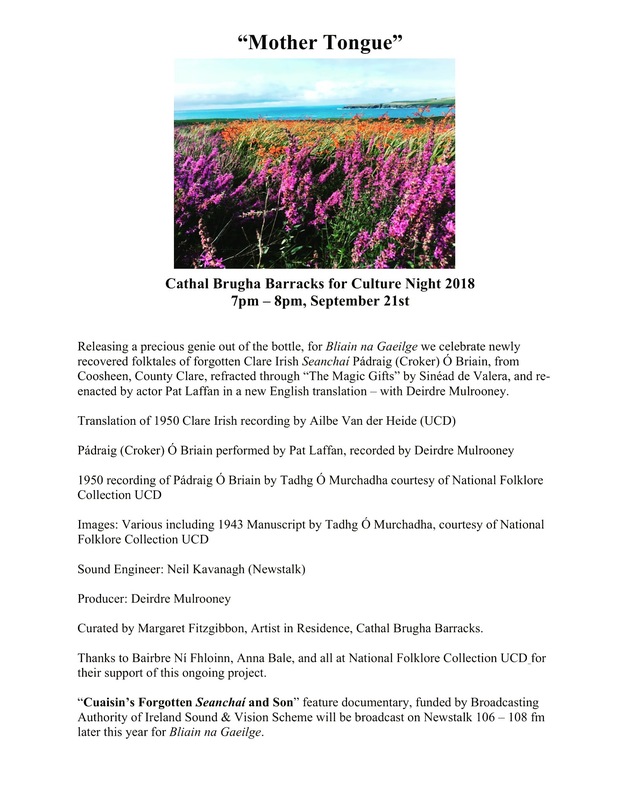 My view, recording “True North” for RTE Sunday Miscellany Live in the presence of The Asgard at The Asgard Room, Collins Barracks, Culture Night afternoon. 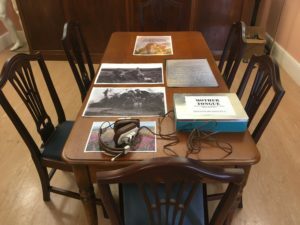 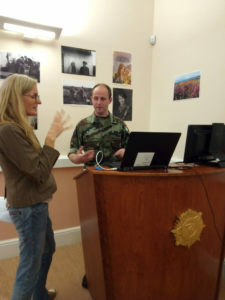 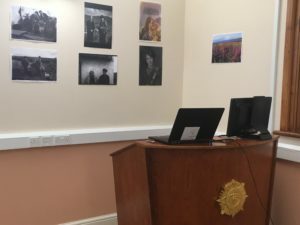 All ready to go for “Mother Tongue” in the Lecture Room at the Military Archives for Culture Night at Cathal Brugha Barracks. 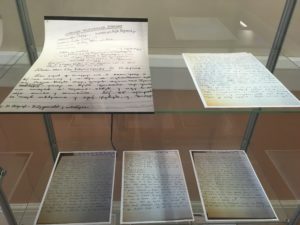 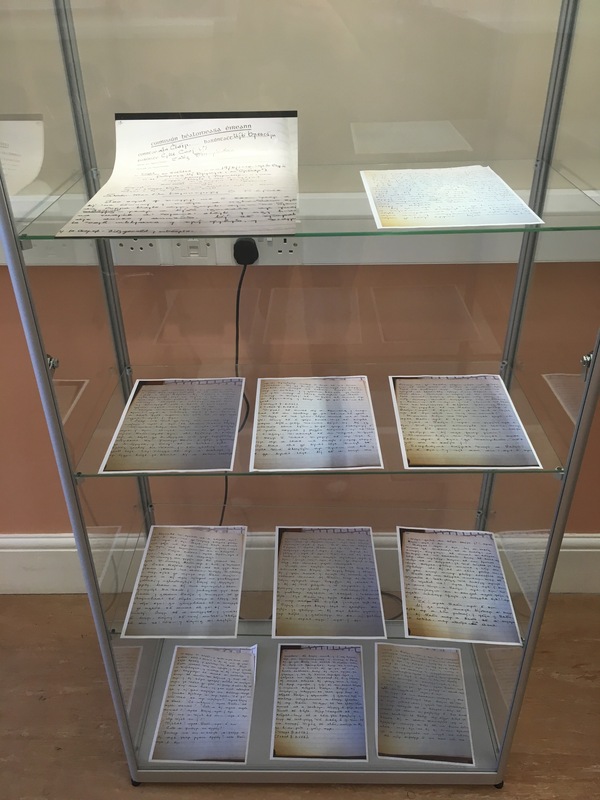 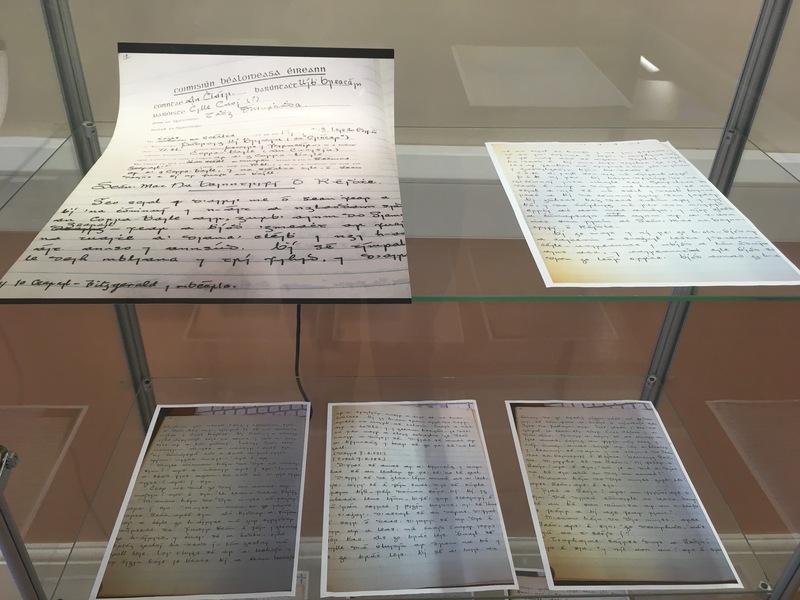 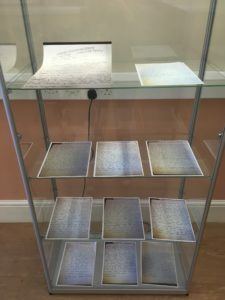 Tadhg O Murchadha’s 1943 Manuscript of Padraig (Croaker) O Briain, on display in glass cases in the Lecture Room of the Military Archive for “Mother Tongue” event on Culture Night. 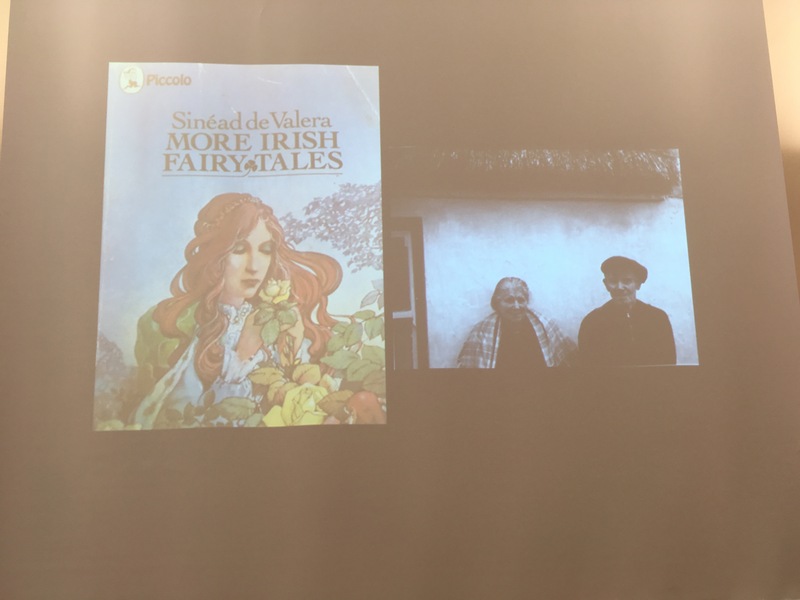 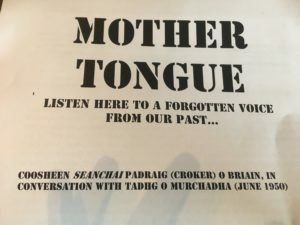 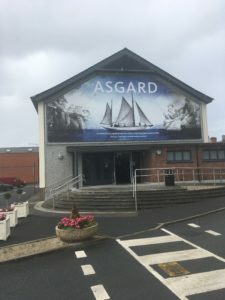 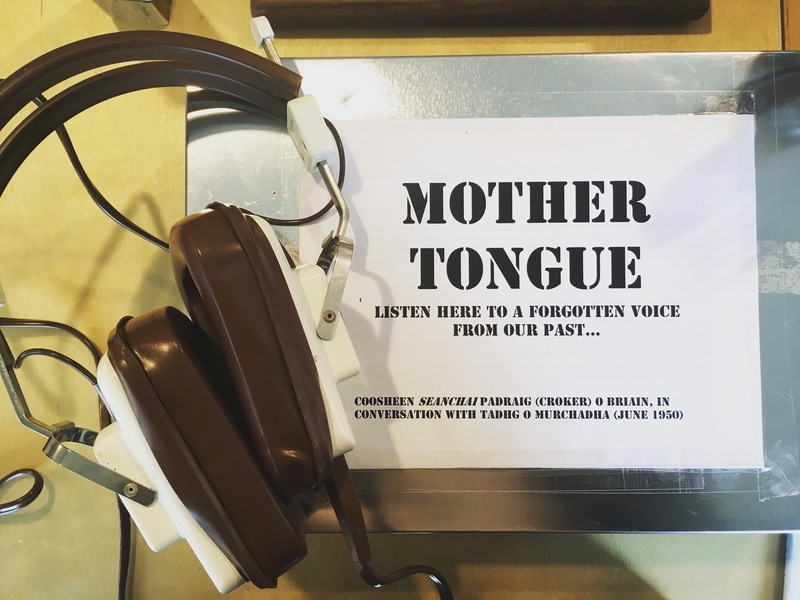 Listen here to a voice from our past – in Clare Irish! 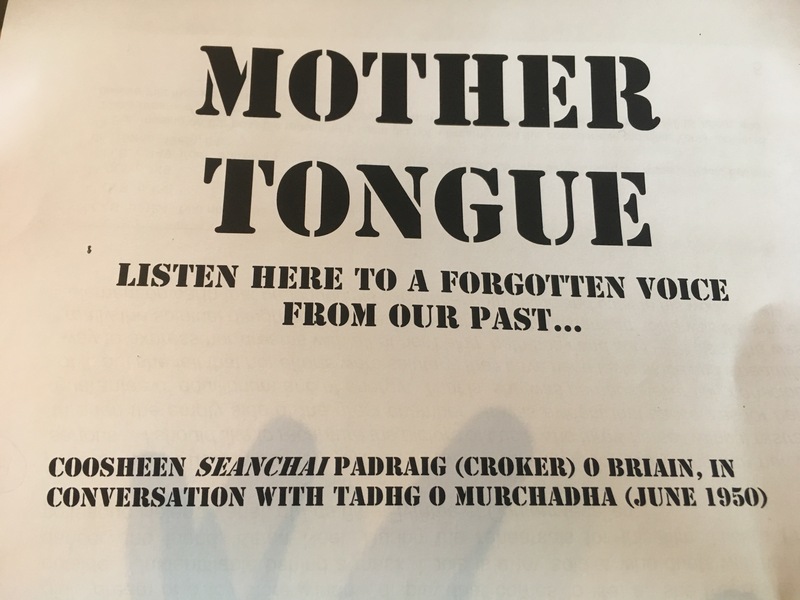 The 1950 recording of Coosheen’s Forgotten Seanchai Padraig (Croaker) O Briain.